So... I'm not sure if this is exactly the right place for this message, but this is what I saw shortly after downloading the latest alpha version from the link. Can you flag this as a false positive? Symantec are a bunch of imbeciles. 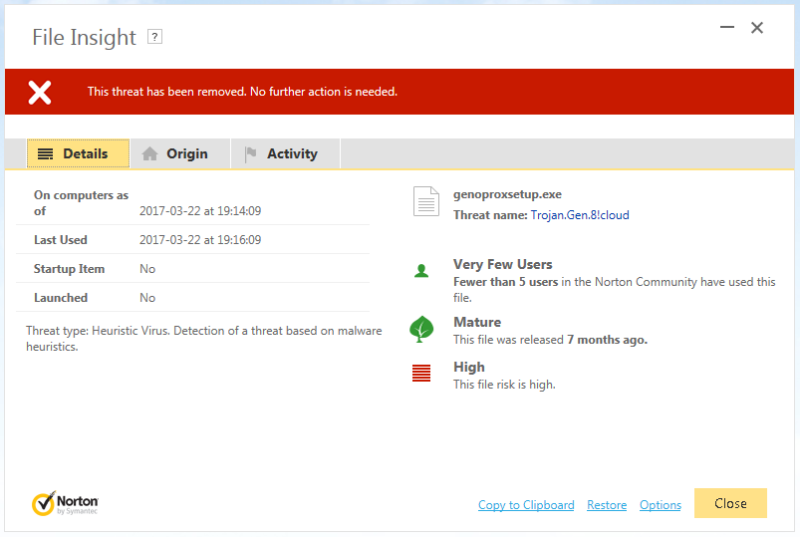 For more than a decade they have been blocking ALL emails from GenoPro.com as spam. We tried countlessly to contact them and their answer is everything is fine. It is like the left hand has no clue what the right hand is doing. Over the time, my brother and I developed a mathematical formula: the larger is an organization the stupider it is. True there are exceptions, but they are rare. Not only Symantec is flagging many files as false positive, they are clueless at blocking real viruses. So many times I helped cleaning up computers of friends and family members having Norton antivirus yet having a virus. "Google takes Symantec to the woodshed for mis-issuing 30,000 HTTPS certs"
I will do so. I've had a few other issues with Symantec as well... thinking about changing my antivirus.